contributes to revitalization of the "precinct" as a landmark and adds new value to people`s lifestyles. The Shijo Karasuma area is located at the intersection of 2 Kyoto roads: "Karasuma Doori" (financial and business center) and "Shijo Doori" (prosperous commercial district). 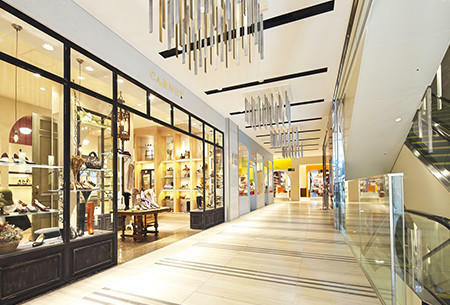 The surrounding area is quickly gaining a lot of attention and becoming an attractive spot with fashionable brand-name designer shops and establishments popping-up one after another. Currently in this location NTTUD is leading the way and breathing new life into the Karasuma area with the steady progress being made on a project to follow-on from the "SHIN-PUH-KAN" commercial property. Modern structures dot the streetscape along with the refined brick and stone buildings dating from the Meiji/early Taisho eras. NTTUD wants to bring bustle to the area that is in harmony with the precinct`s history and vibe. Composite multipurpose commercial facility "Urban-net Shijo Karasuma Building (Laque Shijo Karasuma)" was born from this desire and is composed of offices and commercial facilities based on a concept of a "sophisticated/mature precinct with a high-quality space". A landmark that will create further bustle and excitement for the local region. The aim is to build a commercial property/office complex that people have a long-term affinity with, and satisfies the needs individuals who work and live in this precinct. This commercial property occupies 3 floors above ground and 1 level underground. 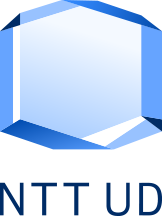 Provides a place for individuals searching for their own time and culture based on a concept of: "Search for your own style and the ultimate you". The offices are located from the 4th to the 7th floor. These facilities offer the flexibility to respond to any changes or needs, adequate common areas , security measures etc., achieve a balance between amenity/security, and support an optimal environment for various business situations. This property blends history & progress by bringing a new angle to people's lifestyles & work styles. The building line was given prominence with the streetscape skyline and a symbolic design to its corner facing the intersection. Use of stone materials give the facade a solid feel which conveys a sense of blending in with the surrounding scenery and buildings. This demonstrates an awareness that the properties impressive design makes it a local landmark. A series of columns `Pilotis` run along the walkway on the 1st floor with the aim of making the area attractive. Also, provisions have been made to enhance direct accessibility to subway entrances. Life-space for "your kind of taste"
The 1st floor underground (direct station access) is based on a "Marche" (market) concept.This floor hosts food stores utilizing a range of ingredients as well as selective general stores. 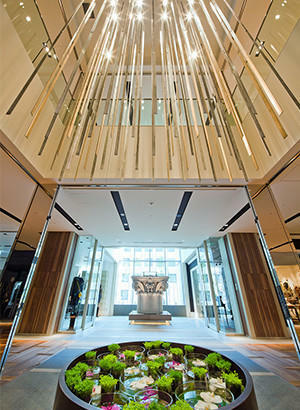 The entrance features a glass-enclosed entrance hall that faces the intersection. Guests are welcomed with bookshelf-like lighted walls, and a space filled with light from lighting that seems to be suspended in air. Each floor is unique and differs depending on the interior materials/color plan used. Wandering around inside the property, various ambiences are on show at every turn. 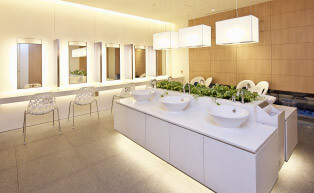 Also, on the 2nd floor, a spacious powder-room has been set up for ladies which is a space where women can take a moment to catch their breath while shopping, relax, enjoy the scents and greenery. Stipes/lattices/bamboo design elements have been arrange to convey a modern feel. `Japanese style` motifs have been sensitively utilized on the walls within the property and also in chandeliers and other store fittings/objects. 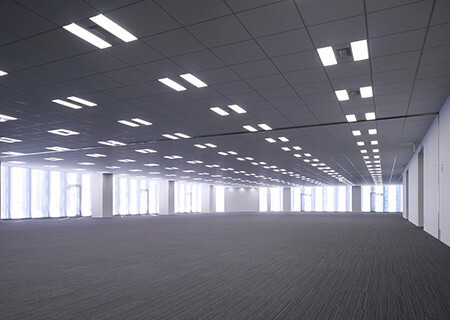 Full-height windows are utilized on the office floors to achieve a bright and open feeling. Forethought was given to energy conservation and reduced operating costs so, Low-E double glazing with a high thermal insulating property is utilized. Entrances to each rental space are equipped with a non-contact card readers as standard to strengthen access/exit control. Also, movement of people in the commercial area is kept completely separate while still allowing 24 hours access. 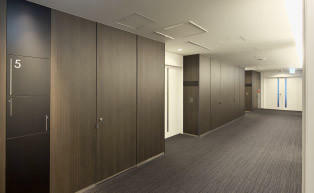 Spacious hallways; comfortable and clean lavatories filled with natural light. Detailed forethought has been given to support office workers by installing accessory holders in the ladies lavatories. Smoking areas, vending machine spaces and kitchenettes have also have been set aside on each floor. 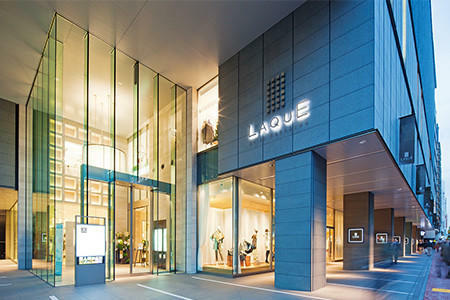 We asked the person in charge of development for development anecdotes about the Urban-net Shijo Karasuma Building (Laque Shijo Karasuma) from the planning stage until completion. 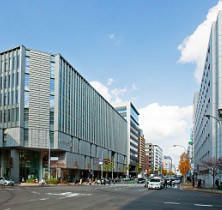 -- Shijo Karasuma intersection is known as "the heart" of Kyoto. What points did you keep in mind when constructing the building here? Karasuma Doori was widened/setup for royal family outings early in the Meiji era. Even today, this road retains that atmosphere as some modern structures with stone or brick facades are located along the street here and there. Also, the Shijo Karasuma intersection is the starting point for the main event of the Gion Festival: a parade of decorated floats. In a word, it is a special place for the people of Kyoto. Keeping this in mind, we aimed to develop a building that offers modern comfort and a sense of progressShop tenants in the commercial property expressed a desire to create a new attraction for the town while leveraging Kyoto's elegant traditions and long history. -- Tell us how you derived the phrase Sophisticated and Mature Town with a High-quality Tower. The area around Shijo Doori has prospered as an office zone that is home to many financial organizations.For that reason, the streets and sidewalks are bustling with people during weekdays, but it is a comparatively quiet area at night or on weekends or holidays. Looking at this another way, the people who work here are also potential customers. It is said nearby Kawahara-Cho has that bustling shopping and entertainment district feel, whereas Karasuma has a slightly different vibe: many smart adults gather in this precinct. 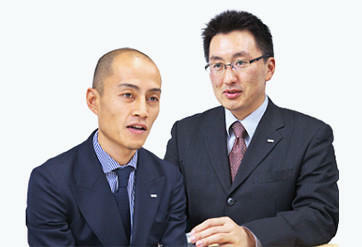 The main target for the commercial properties in the building are the people who work in the Karasuma area. We decided that we wanted to provide facilities to enable people to find their own unique personalities by creating opportunities to make new discoveries and experience new beginnings. -- The theme is "fusing history & progress". Where is this theme expressed? A glass curtain wall was used for the exterior to provide the office building with a sense of openness. We also used stone overall to blend in with the stately nature of the buildings in the area. Vertical louvers mounted in stone provide some shade for the large glass windows.We also wanted to give the interiors a modern staged feel by using metal chandeliers and glass light-walls. Japanese influences are also expressed in the sensitive ambience we believe. When a person wanders around thinking about what image is used in one place or another, we believe they will enjoy themselves more. -- I heard that during the four years from acquiring the land until construction, you ran into many roadblocks. In Kyoto there are detailed official guidelines related to views that aim to protect the streetscape. In particular, there are strict height restrictions applied within the metropolitan area so, we struggled to pull our plans together. During the course of discussions on our concept for the exterior, building a portico integrated walkway etc. the government side came to understand our vision, and we were able to complete the project. -- The "SHIN-PUH-KAN" commercial property opened in 2001, correct? We were able to generate a flow of people from Shijo Kawahara-Cho to Karasuma Doori by building the Shinpukan.Now, we are generating even greater flows of people by building the Urban-net Shijo Karasuma Building. Until then, people just came and went on their way to their final destinations, but if we keep on working at it, we are confident we can raise the bustle-factor and potential of the entire precinct. 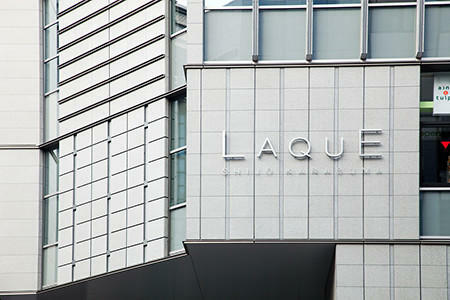 -- Lastly, please offer a message visitors and guests to the Urban-net Shijo Karasuma Building (Laque Shijo Karasuma). This is a composite multipurpose building composed of commercial establishments and offices. However, this space is not just about being a busy place made up of commercial establishments. People working in the precinct also pass some quiet time in this space as well.The interior of the property is also adorned with greenery, there are floral displays to achieve a casual handling of the `nature` motif.We are keen for people to feel free to visit on holidays of course or to drop by on weekdays on the way home to rejuvenate after a long day at work.